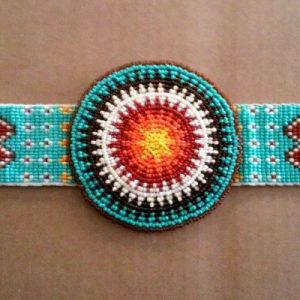 This headband & rosette are fully beaded by hand by Navajo crafters. The rosette measures inches in approx. 4 inches in diameter. The headband measures inches approx. 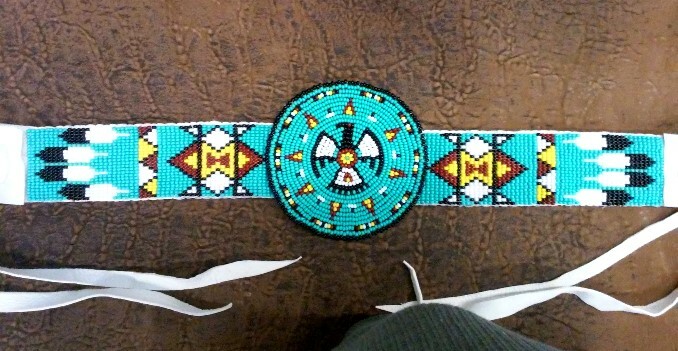 19.5 long by 2 inches wide. The rosette is securely sewn to the headband. 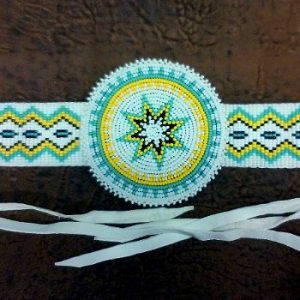 The entire headband is sewn onto soft buckskin leather with two leather thongs at either end for tying. 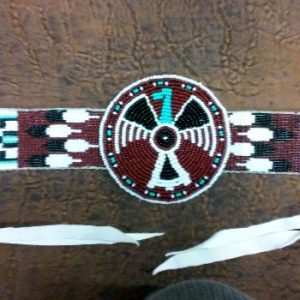 A really nice headband used for men & boys fancy, grass & straight dancers. Great for boy scouts ! Certificate of authenticity included with this item.